International Union of Marine Insurance (IUMI) is trying to force refineries to conduct testing on low sulphur fuels, a host of other bunker experts have called for greater cooperation among the partners of the bunker supply chain to ensure next year’s sulphur cap proceeds smoothly. 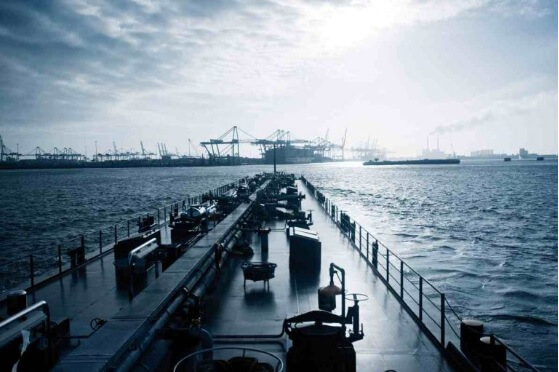 VeriFuel, part of French class society Bureau Veritas, has urged the marine bunker sector, upstream supply chain, and fuel testing organisations, to embrace a new culture that promotes far greater cooperation and transparency in preparation for 2020 and beyond. There have been a series of marine bunker fuel contamination cases around the world over the past 12 month that have spooked many owners trying to get their heads around how best to meet the sulphur cap requirements. The International Council on Combustion Engines (CIMAC) has found that no single chemical could be blamed for the engine failures caused by off-specification fuel. While testing has previously been conducted in isolation, VeriFuel warned yesterday that this approach is not helping to solve the underlying problem. According to VeriFuel, without industry-wide cause-and-effect analysis on a global scale, testing will remain limited to advising owners afterwards what “might” have caused their problem. Low sulphur fuel supply is not consistent around the world with IUMI, the global marine insurance body, pointing out this week that this type of fuel often contains a high level of cat fines which onboard systems and processes often fail to filter out. Differences in flashpoint and combustibility are also evident. Rahul Choudhuri, managing director of Veritas Petroleum Services (VPS), told Splashtoday that IUMI’s refinery demands were unlikely as the bunker fuels supply chain is complex with blenders and cargo suppliers involved. Douglas Raitt from Lloyd’s Register’s Fuel Oil Bunkering Advisory Services (FOBAS) told Splash today he was aware of certain bunker suppliers trying to sell compliant product to the market ahead of 2020 on a trial basis. The pushback from buyers, he said, is that they are prepared to do so provided suppliers can demonstrate the fuel is fit for purpose. Concluding VPS’s Choudhuri had some advice for owners and operators. They will need to get a risk assessment and mitigation plan in place fast, he urged. “This means deciding which new fuels are going to be used and carrying out detailed R&D testing on these fuels – well in advance – not only on the standard ISO 8217 tests, but also additional stability, compatibility, ignition and combustion, chemical contamination tests,” Choudhuri explained. Such a preparation would be in line with the IMO Ship Implementation Plan signed off at MEPC 73 as well being aligned to the need for detailed fuel quality testing included in Intertanko’s new Bunker Compliance Guidelines. “Shipowners and operators need to do their homework and be prepared to implement additional fuel quality tests in preparation for 2020,” Choudhuri stressed. ©2018 Marine One Pvt Ltd. All Rights Reserved.